The Hungarian capital hardly needs any introduction; it’s a beautiful, well connected, city which can be experienced on numerous levels and is a great fusion of the historic and modern in many contexts. Contemporary Budapest was formally established in November of 1873 with the unification of the Buda, Óbuda and Pest municipalities, which straddled the Danube, into a single city. However, human settlement and activity have been going on within the modern city’s footprint since the Neolithic period. Stone Age, Copper Age, Bronze Age, Iron Age, Celts, Romans, Huns, Ottoman Turks, the Habsburg Empire and Socialism have all had their turn occupying Budapest and have all left lasting marks on the place in contexts of architecture, culture, cuisine and many other aspects to make the city as cosmopolitan in the historic sense as it is in the modern. Let’s take a quick look at just a bit of what this city has on offer. 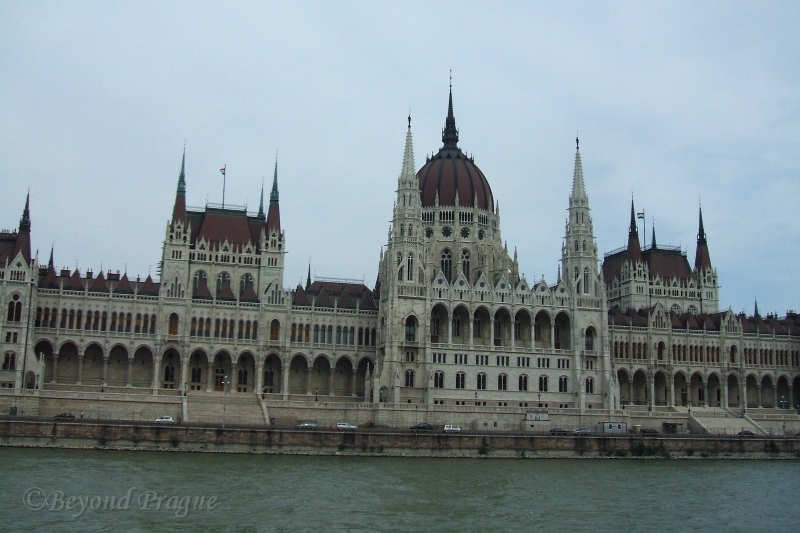 The immensity of the Hungarian parliament building as seen from a river boat. 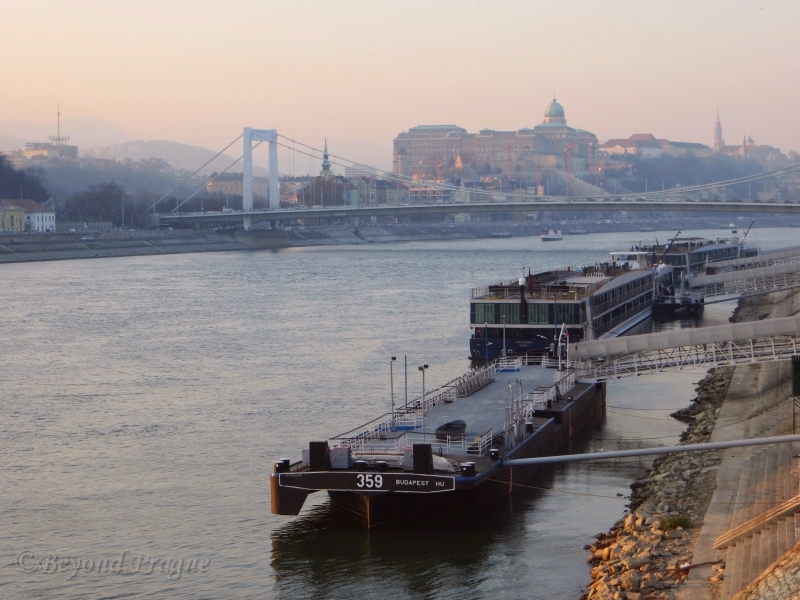 Perhaps, logically, the best place to start exploring Budapest is at the Danube itself. The banks of the river, within the Budapest city limits, are listed as a UNESCO World Heritage Site. Along the banks you’ll see buildings of Roman, Turkish and other influences intermingling easily with each other to create a truly unique vista worthy of a place on such a list. The Danube is, of course, one of the world’s great waterways and Budapest very likely would not have achieved its historical importance without a river of navigable size bringing in trade and commerce. Even today, with the business of riverboat cruises, the Danube still lends commercial support to the modern city. One of the many river boats that ply the Danube. In fact, a short river cruise is a very good way to get an idea of the architectural variety that fills the banks and will give you a unique photographic vantage point. 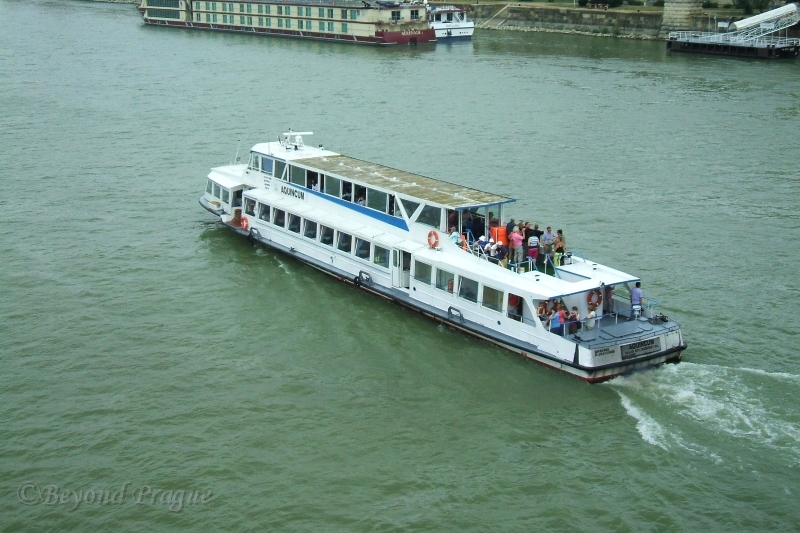 Longer river cruises, to Bratislava or Vienna, can also be purchased as well as romantic evening cruises and rides to the popular Margaret Island. Budapest is a big and busy city with all the associated noises that go with it. To see a different side of things, you might want to take an early morning stroll to the river when you can still clearly hear the sound of the water lapping against the sides of the boats moored along the banks. You certainly won’t hear that sound once the city wakes up and gets moving. The morning light hitting the structures on Castle Hill, on the Buda side, is also something worth taking in before a busy day of touring about starts in earnest. Fisherman’s Bastion, one of the many unique features of the castle quarter. Perched on a hill directly opposite the Hungarian parliament building, is the UNESCO listed Buda Castle Quarter. This quarter not only contains the well known and visited castle, Matthias Chruch and Fisherman’s Bastion; but also an archaeological site and the preserved remnants of the Mary Magdalene Church. The history actually begins before you set foot on the hill itself. 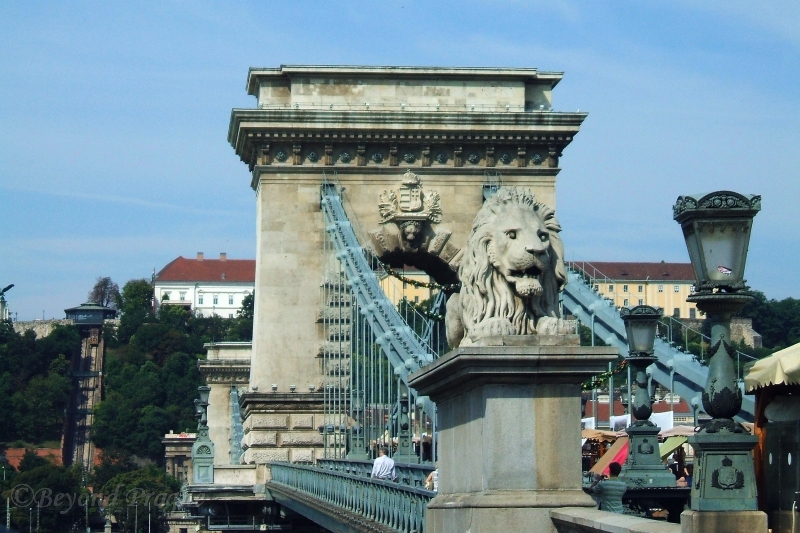 The most popular way to reach the hill is by crossing Chain Bridge, the first permanent bridge across the Danube in Hungary, and then taking the Castle Hill Funicular to the top of the hill. The funicular dates to 1870 and is the second oldest funicular in Europe; destroyed in the Second World War, the funicular was restored to original specifications in 1983 and reopened to service in 1986. 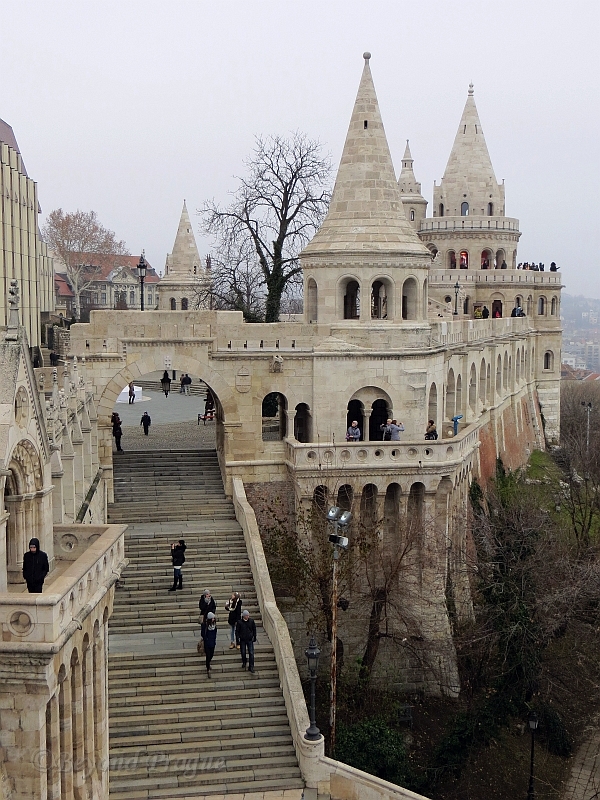 Fisherman’s Bastion is, at approximately a century old, a relative youngster in Budapest’s architectural catalogue. However, what it may lack in history it more than makes up for by offering one of the best views of the parliament building that you could hope for. The historic Chain Bridge with the castle hill and funicular in the background. Beyond the Buda Castle Quarter, the Buda side of the city is home to other attractions such as The Citadel, an Austro-Hungarian era fortress at the top of Gellért Hill, as well as the Art Nouveau designed Gellért Baths. On the Buda side, you will also find the Rudas Baths and Király Baths; two functioning Turkish baths dating back to the Ottoman period and have kept many aspects of their original designs intact. The outstanding Dohány Street Synagogue. Significantly larger than Buda, the Pest side of the city extends east from the Danube and contains trendy upscale shopping districts and restaurants in addition to historical sites. Whether you’re a history buff or “fashionista”, the UNESCO listed Andrássy Avenue will satisfy both ends of the spectrum. Above ground, you’ll find one of the city’s trendiest shopping districts with cafés, restaurants and big name fashion boutiques sharing space with a number of historically significant buildings. Underground; Andrássy is home to Budapest Metro Line 1, opened in 1896 and Europe’s second oldest metro line. 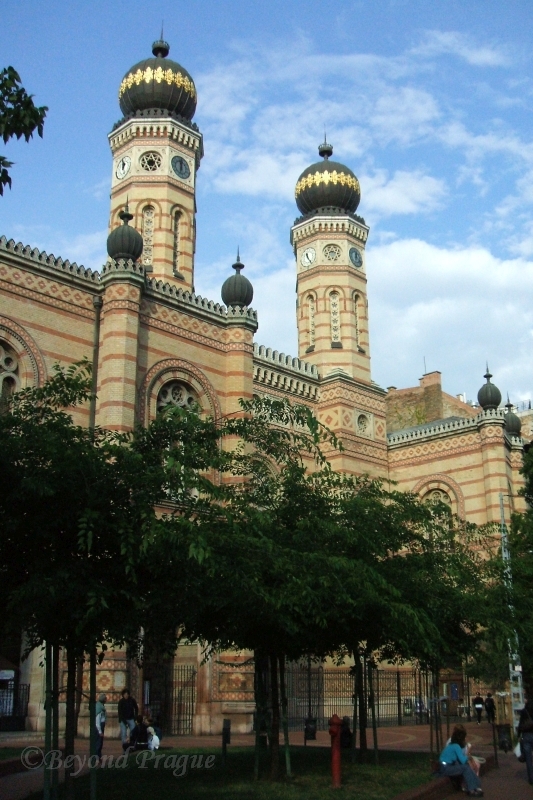 A particularly eye catching resident of Pest is the Moorish Revival style Dohány Street Synagogue, which dates to 1659. With seating for 3,000 people, it stands as testament of the importance and influence of the city’s Jewish population at the time it was built. It is Europe’s largest synagogue. Central Market Hall, the city’s largest indoor market. It goes without saying that all the walking around that goes with being a tourist tends to build an appetite. 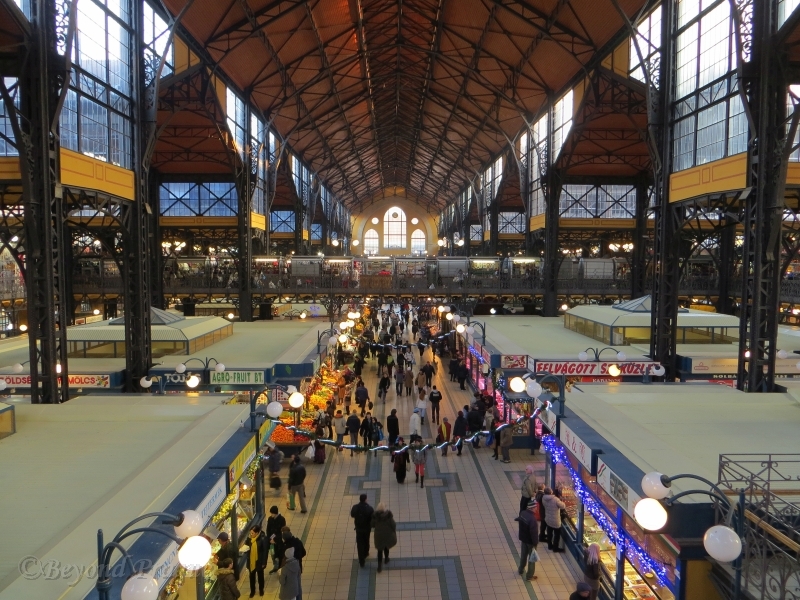 Happily, the Pest side will give you access to the Central Market Hall. The cavernous building that houses the market has a distinctive atmosphere that lends itself well to the typical colours, sounds and smells that come with a market. On the main floor and basement, you’ll find stalls selling all manner of fruits, vegetables, meats, alcohol and the ever present braids of whole garlic or chili peppers. The second floor contains eateries and non food related souvenir stalls. 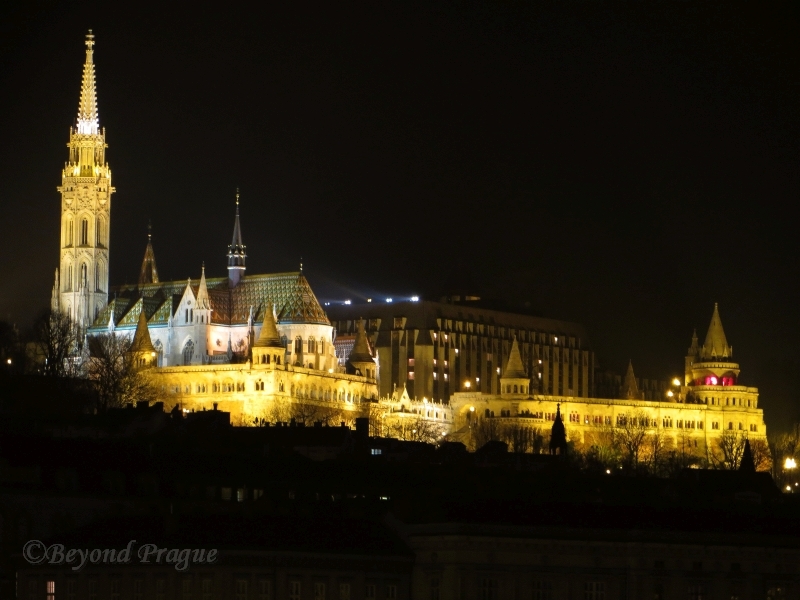 St. Matthias Church and Fisherman’s Bastion by night. Bearing in mind that Budapest is home to nearly twenty universities, numerous museums and galleries as well as theatres; one would certainly put the words “Cosmopolitan” and “Cultural” high on the list of adjectives that could be given to it. It’s a place where almost every street feels a bit different from the one before and the one next. You could easily find yourself on a grey and dull street one moment and colourful, lively one the next with no warning. For myself, I would also describe it as resilient. As you’re walking around, taking it all in, it’s easy to forget that this city has been besieged, pillaged, burned and bombed to the ground many times in its history well into the 20th century and yet it has recovered each time and still stands. Given the truth of the old adage that it’s the people that make the place, I tend to think that a place like Budapest could not help but be resilient as most Hungarians I’ve met are quite proud people. 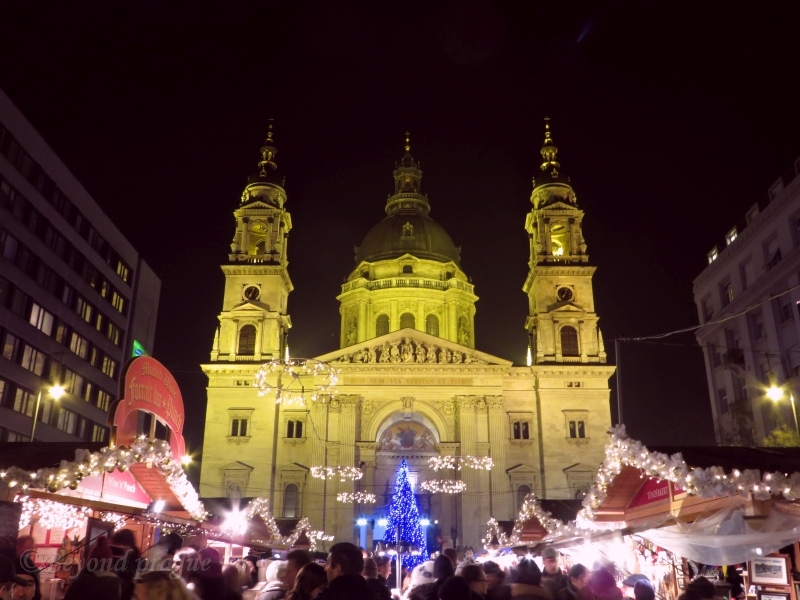 St. Stephen’s Basilica with the Christmas Market in front. Budapest is a city with something going on at all times of the year, so there really isn’t a specific high and low season to plan a visit around. I’ve enjoyed the city in both winter and summer and would highly recommend at least a few days there if you’re visiting central Europe. There are many ways to enjoy the city as it has something for just about everyone regardless of what you like to gear your travel itinerary around.